Welcome to the home of superior quality inflatable slides, amusement hire, bouncy castles for hire, dunk tank hire, rental food machines and party entertainment services that will pump up the fun at your event. At Perth Amusement Hire, we are a one-stop shop for all you need to light up your party scene with incredible fun and earn quite a reputation among your guests as the great event planner you are. We are a professional hire company based in Perth and have remained consistent in ensuring that our clients in the local area and beyond receive nothing short of the very best. We have built a reputation in the industry and continue to grow each day. 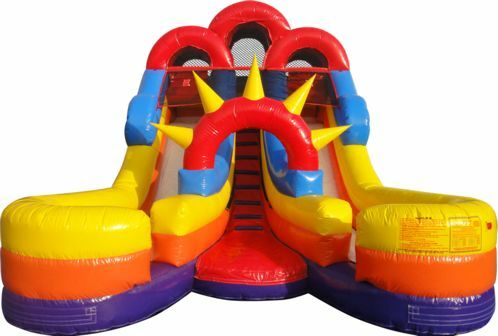 We have a wide range of jumping castles, waterslides, amusements of different sizes and designs. We stock units from different top leading manufacturers and suppliers in the industry and offer our clients variety. Our units come in different sizes, suitable for kid of all ages from toddlers to teenage kids. The adults need not feel left out, as we have units that are perfect for adults. Our uniquely designed units come with different fun features such as hoops, pop up obstacles, punching bags and slides among others that will keep you and the kids entertained for hours on end. You can never have a dull moment at your event with our exciting product range. Our top quality products are suitable for both indoor and outdoor use, and we assure you of a fun-filled day regardless of your choice of venue. We have themed units such as the Princess and Fairies themed inflatables that hold a special appeal to young girls. Others such as Superhero-themed bouncy castles and inflatable water slides are a favorite for the boys. We also have a large collection of units with universal themes that boys and girls as well as adults will enjoy. Check out the gallery on our products page and find what you want for your event. We also have a friendly customer care team that can advise you on the best hires for your event. Tell us what you need and we will help you find it. At Perth Amusement Hire, we are about more than just bouncy castles and slides. We also have some of the best balloon twisting, best face painting in Perth that has earned quite the reputation with our clients. Our team of face painters and make-up artists will help bring out your true party face, whether it is in keeping with the party theme or a fantasy-inspired design you and the kids have always wanted to try. Sumo wrestling is a fun and healthy game the guests can play. We have impressive sumo suits for hire that will give your guests the confidence to step into the gladiator ring and conquer. We offer great packages on our machine rentals. Hire our slushie machines for hire and fairy floss machines for your event and treat your guests to wonderfully delicious refreshments. We also offer snow cone machine hire, popcorn machine hire, and soft serve machine hire. Over time, we have worked with various clients in Perth and beyond and the wonderful testimonials and reviews speak of their satisfaction with our service. Whatever the scale, big or small, we can handle it and stand fully behind our 100% customer satisfaction guarantee. Perth Amusement Hire is dedicated to protecting and ensuring the safety of all our clients, young and adult as they use our services. We ensure that all items in our inventory meet the highest standards and only choose from industry leading manufacturers and suppliers. Other than that, regular inspection, maintenance and repair define the conscious effort by our team to ensure safety. Our skilled and experienced technicians attend to setting up and bring down all units. we will keenly monitor and supervise as everyone plays around and has the time of their life. Where you chose to self-supervise, our team will provide you will all necessary instructions for a smooth running. In addition to having all our equipment tested, we have a public liability insurance policy worth million so you can kick back and enjoy the day, with the assurance that we have all our hire items insured. Never will we, at Perth Amusement Hire compromise on the quality of our products, not even to attract more clients as we understand the unfortunate implications of hiring out inferior quality products. We offer great deals on our hire services and for the quality products we have, you will be getting value for your money with our affordably budget-friendly rates. The quoted hire prices for our products cover delivery to your party’s venue, setting up and final pick up. Unlike some companies that will frustrate you with hidden charges on the big day, we pride in transparent and honest transactions with all our clients. You can expect friendly first –class treatment from our friendly and professional team. Our team will always arrive in time, and perform according to the hire agreement, meeting and even exceeding your expectations. From timely arrival for delivery to professional set up and supervision through the event, we ensure that you have an awesome experience at your event as we handle the rest for you. We appreciate that you, as the customer are our greatest asset. 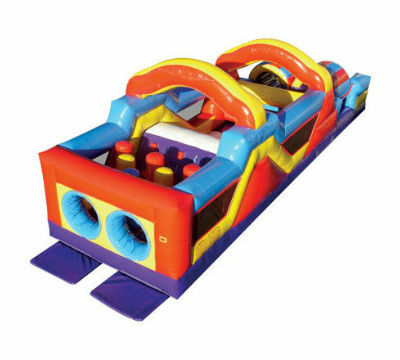 Whether you hire a single unit for your small private event, or hire many play inflatables, machines and party extras for your large event, we guarantee that you will be treated with nothing but professional courtesy. We collaborate with other players in the industry who also offer a reliable service. In the event that we do not have what you are looking for, we will direct you to our partners who can assist you. Perth Amusement Hire is a most-trusted hire company and offers you a truly reliable service any time, every time. We are excited about helping you plan for your next event and would love to hear from you. Call us or email us today. Alternatively, you can fill out an online enquiry form and we will get back to you. We are also partnered with other companies in Perth, so if we don’t have it, we can help you find it!